Only do what’s worth duplicating. Jordan Adler teaches us that a simple shift in focus can have the biggest impact in your business and overall, in your life. Also, stop spending time trying to get the people that aren’t working to go to work. Over the past 27 years, he has BECOME ONE OF THE TOP NETWORKERS in the world, earning in excess of $20 million in his home based businesses. His MLM business has over 1/2 million customers! Jordan wrote the worldwide bestseller “Beach Money” and 100% of his profits go to charity. His book has been out for nine years, and still sells around 5000 copies per month. Jordan is launching his second book, “Better Than Beach Money” on March 7th. Jordan splits his time between 2 mountain homes, a condo on the Vegas Strip and of course, the beach! 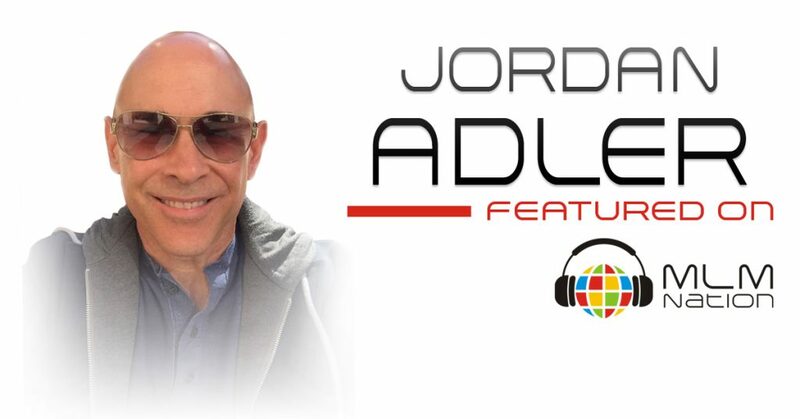 Jordan Adler has appeared previously on episodes 49, 300 and 337, and is the only leader to have been featured 4 times on MLM Nation.